Pajaro Dunes is located on the isolated shores of Monterey Bay coast spreading over one and a half miles along the coastline of the Pacific Ocean. It is the perfect place where one will find oneself in the company of nature. The scenic beauty defines itself its worth in the landscape of Pajaro Dunes. The marvelous and breathtaking scenario defines the real bliss of Mother Nature in its tranquility. It is an amazing gated community with a blend of cottages, beachfront condominiums and estate homes. 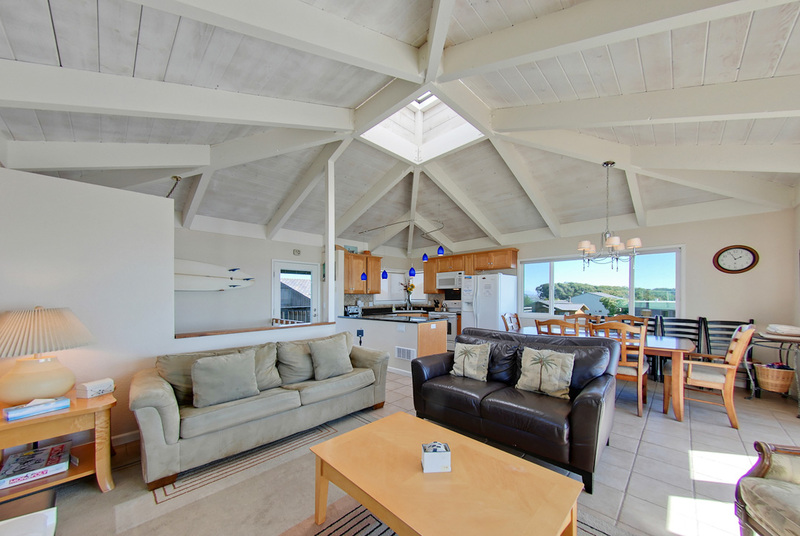 The luxurious house, Pajaro Dunes Vacation Rentals, is less than 30 yards away from the beach. The four bedroom rental house at Pajaro Dunes offers an unobstructed 180 degree view of the Pacific Ocean from Monterey Bay to Santa Cruz. Well equipped with modern amenities and exquisite furnishings, the rental house provides friendly and comfortable services, maintained at its finest and excellent order. And what makes Pajaro Dunes Rentals, House 117 different from all other condos is the luxury accommodation accompanied by home-like comforts. Pajaro Dunes is one of the best places for family outings or a cozy romantic retreat. Whether your stay is a brief one or a long break, our pajaro dunes rentals provides you with all the required amenities. The house is well-designed and furnished with granite counters in the kitchen and in the bathrooms. Pajaro Dunes Vacation Rentals offers best packages for vacation home in Pajaro Dunes. There are special packages offered for business trip, family vacation or a romantic escapade. So whether you are here for a business meeting or to spend some marvelous time with your loved ones, we are here to cater to all your needs. Finding a Pajaro Dunes vacation rental could have never been easier. Visit us at www.pajarodunesvacationrentals.com to check out our specials. 35 queries. 0.904 seconds. Zindi theme.